Any skier, snowboarder, mountaineer, snowshoer, or snow adventurer knows that ski goggles are an essential piece of equipment. However, do you know which is the best? Over the course of two months, we skied on windy, snowy, and sunny days. We tested a gaggle of ski goggles to see which has the best breathability, comfort, lens quality, durability, and style. Learn more and see how to choose the right pair for you. The best Snow Goggle overall, in our opinion. The Oakley Airbrake is our choice as the best Ski Goggles period. This ski goggle has fantastic lens optics and breathability. While the price tag might cause some to think twice, keep in mind that it comes standard with two lenses. Essentially you are getting two pairs for the price of one. It is so easy to switch out the lens that it could be done in the middle of a run or on the chair ride up. The Airbrake was the most comfortable design tested and did a fantastic job of protecting us from the elements. Oakley has also released their Signature Series of Airbrake goggles. 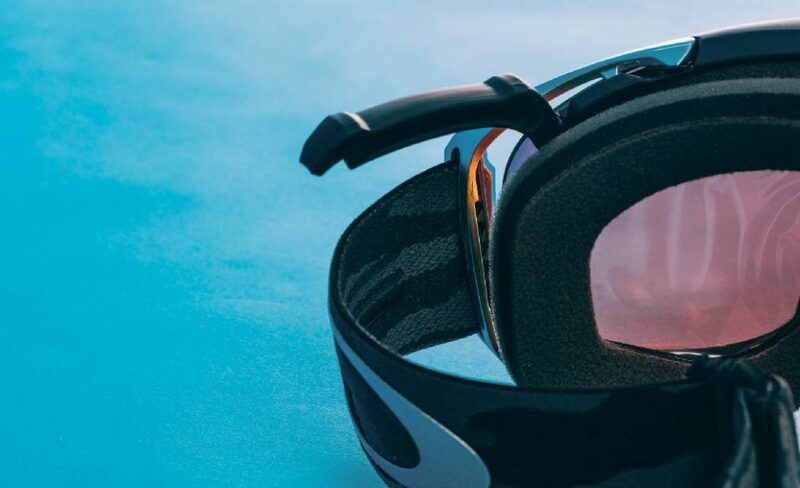 Check out the Oakley Airbrake Jake Blauvelt. A fantastic value for your money, the Bolle Carve is great starter option. The Bolle carve is a fantastic buy at an average price of $40. The Bolle Carve does a good job of keeping the elements out and is relatively comfortable. The optics work well. The style is timeless. If you are the type of person that destroys goggles then this could be a good option for you. If you want to ski in High Definition, this are the Goggles for you. The POC Lobes deserves a top pick due to its superior lens quality. The lens on this goggles was nothing short of fantastic. Everyone who wears them remarks on the clarity of the lens. 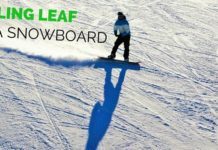 This goggle is for a skier or snowboarder looking to take their riding to another level and have a sharper/richer experience. Ski goggles are an important tool for anyone wanting to ski, snowboard, snowmobile, snowshoe, or just play in the mountains. While some snow enthusiasts love their sunglasses, goggles offer more protection from light, wind, and foreign body intrusions. 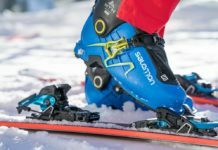 Deciding which pair of ski goggles will work best for you can be a daunting task but it’s one that we are here to guide you through. The most basic approach should keep these three ideas in mind: fit, style, and lens type. The goggles need to fit your face well in order to keep the elements out. You should like the style, or you won’t wear them. Decide how important clear unobstructed vision is to you. Other important aspects include anti-fogging, lens shape, UV protection, and padding. All these features make a pair of ski goggles unique. For more information on how a pair of goggles works and what sets a top-end product apart from one that will just do, keep reading below. GPS goggles are another category by itself. 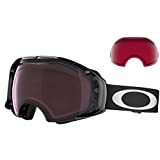 If you are looking for the latest goggle to track your speed, vertical, and airtime, check out the Oakley Airwave goggle. This goggle can connect to your smartphone via Bluetooth to keep you connected with all your friends and music. This is the future of goggle technology. For this criterion, we checked the ability of the ski goggles to keep the wind and sun out of the user’s eyes. 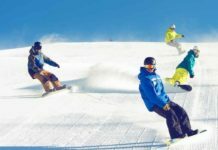 We did not find any model in this review that allowed direct sunlight to the eyes, which is one of the main advantages of using a goggle for snow recreation. However, in regards to wind exposure, we found major differences. Some pair allowed wind to enter from the sides, around the nose, or excessive amounts through the vents. The product that gave the best protection against the wind was the Oakley Airbrake. The product we found to have the least amount of protection was the Oakley A-frame. This is a complicated attribute to measure. It is important to have enough air moving through the goggles to un-fog. However, it is just as important that the vents do not allow too much air to flow, causing the eyes to dry out. For this category, we tested the rate at which they could un-fog. The de-fogging could also be aided by the quality of the anti-fogging coating applied to the surface of the lens or the quality of the thermal barrier created by the inside and outside lenses. Most of the models we tested were able un-fog themselves during a rapid descent. The Oakley Airbrake did the best job of clearing the fog in the shortest amount of time. While no product escaped clouding over in rainy, sleety, or wet snowy conditions, some cleared easier than others. The outside of the Smith I/O, POC Lobes, and Oakley Airbrake were the easiest to clean off due to the flush interface of the frame and the lens. In the Smith Scope, the Spy Targa 3 and the Oakley A-Frame, the frame edge protruded past the lens, making clearing snow or water off more difficult. The general comfort of any particular product can be very subjective and differ greatly between users. It is important to choose a goggle that fits you well. Goggles are designed for a general face size. Most of the products tested in this review are designed for medium to large-faced individuals. The best pair tested for smaller faces were the Oakley A-Frame, Spy Targa 3, and the Julbo Orbiter. Aside from the general fit, we looked for goggles that did not cause excessive pressure in any one point. One of the biggest determiners of comfort was the number of layers and type of foam. In general, models with three layers of foam were much more comfortable than those with two layers. Also, the goggles that used a thin wicking material for the outermost layer felt softer against the skin and did not rub as much. In our test, the two most comfortable pairs were the Oakley Airbrake and the POC Lobes. It is important to note that the Smith I/O comes in three different sizes: I/OS for smaller faces, I/O for medium to large, and I/OX for extra large faces. Make sure to purchase the appropriate size for your face. All the other goggles come in a standard size. See the rating table to find the appropriate size goggle. We used the manufacturers’ sizing and our own experience to judge the size. Strap comfort was also considered for the overall comfort. Some were easy to tighten while on the head or helmet. For others, it was impossible to snug down without taking them off. All the models tested had straps that came with a silicone bead on the inside to keep them from inadvertently slipping off. The Smith I/O had the most functional strap. It was the only strap that had a clip in the back allowing them to be removed or put on without having to pull them over the head. Most of the products we tested had straps that could fit any size head. However, some needed to be tightened down completely to stay on smaller heads, which could become a problem when the strap stretches. Most backcountry skiing is practiced without helmets. 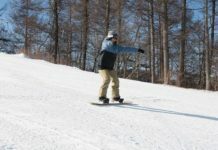 It is strongly recommended to use a helmet when participating in skiing or snowboarding, especially at a resort. With helmets in mind, most of the products tested in this review had outriggers on the sides of the frames to help them accommodate the extended width of a helmet. Lens quality varies significantly between manufacturers and models. For this review, we tested mostly spherical lenses. Only the Spy Targa and Smith Scope have flat lenses. Comparing the clarity of the lenses was similar to comparing HD vs. standard TV. All the goggles provided visibility of high enough quality to perform high-velocity sports. The lenses that stood out were the POC lobes, Oakley AirBrake, and the Julbo Orbiter. 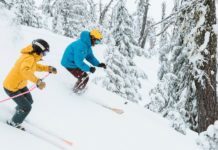 These goggles have the least distortion, glare, and best peripheral vision; they allow for a crystal clear vision that almost gives a feeling like skiing without a goggle. 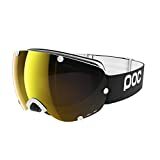 The POC lobes far surpassed all the other contenders with the clearest visibility and best peripheral vision, and is our main choice for best lenses. If you want to ski or snowboard in “High Definition,” then this is the goggle. A friend drove away from a day of skiing in these goggles not realizing he was still wearing them. A word of caution: be extremely careful with these lenses. We found that the exceptional clarity lens can be easily damaged, making this the least durable lens we tested. The good news is that it is possible to purchase a replacement lens. The Julbo Orbiter stood out in this category for a unique reason. The Orbiter was the only model we reviewed with a photochromic lens. This lens did a fantastic job of changing the amount of tint, depending on the time and type of day. You can use this goggles for hiking at night and on bright sunny days and you’ll never need to change the lens. The Smith I/O and Oakley Airbrake come with two lenses. Both have one lens for low light and one for bright light. While the overall cost of these goggles is more than the other goggles we tested, keep in mind that the cost includes two pairs of lenses. Several other products in this test have lenses that can be replaced, but these two models are the only two that are truly interchangeable on the fly. On several occasions, we switched out the lenses in the field when the light became lower or brighter. Changing the lens on the Oakley Airbrake is as simple as pulling up the lever and releasing the lens. The Oakley Airbrake was the easier of the two to switch out with a convenient lever to release the lens. The Smith I/O required releasing two levers and pulling the bottom of the lens out of the rubber frame. Carrying case for the Oakley Airbrake included with purchase. A great option for carrying and protecting your goggles in your luggage while in the car or on the plane. The characteristics of a durable pair of ski goggles for this test: the ability to resist scratches, ease of cleaning the lens with the bag provided, and retention of stretch in the strap. While all manufacturers note in their literature that they apply an anti-scratching and anti-fog coating, there is a difference in ultimate durability. We found that the Oakley Airbrake and Smith I/O were the most durable. The POC Lobes were the least durable. Some of the frames were made from a softer material, allowing for more bending before breaking. We did not break any in this test, but anyone who has used ski goggles for an extended number of days knows that it is possible to break lenses or frames from taking a face plant. A more likely way to break a frame is by shoving it with too much force into a backpack or pocket. 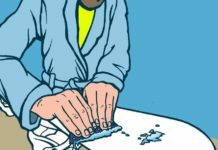 It is important to treat all goggles with some level of care to ensure their long-term durability. See this website for more tips on how to care for your goggles. Style is always the most subjective category of a review. The majority of our readers are men in their 30s and 40s. We also tried to keep in mind current trends. Finally, we attempted to judge the products with the knowledge there is a range of different colors and graphics available. There is a design out there that fits the style of every individual.